Specials for a Spring Makeover! Spring is here, are you ready for a fresh makeover? It’s been a long, cold and dry Alaskan winter. Losing a few extra inches for your summer outfits and getting your skin looking healthy and silky smooth again takes time. 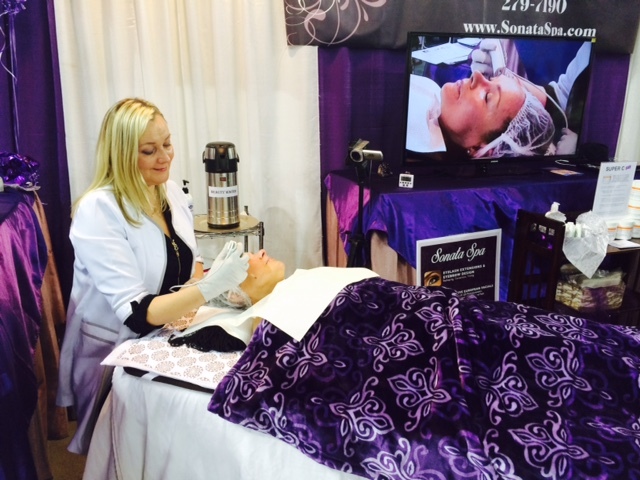 Body Wraps , Cleansing and Exfoliating Facials usually require 5- 10 sessions to get desired results. Waxing takes 2-3 visits to achieve lasting results. If you are planning on getting in better shape by summer, don’t wait, start NOW! Special #1 Exfoliate and Nourish your skin with Sonata or Sonatina Facial. Special #2 Remove unwanted hair by Waxing. Special #3 Relax and Loose a few extra inches for your favorite summer outfits with Aloe Vera Body Wrap and Therapeutic Massage. Detox and Relax with our luxurious complementary Amethyst Infrared BioMat Treatment($80 value), while having any of these services. Purify your skin and body – All Sonata Spa services promote healing both inside and out, offering Kangen and Beauty water as an integral part of our treatments. Take home a complementary bottle of Kangen and Beauty Water. or request an appointment online.